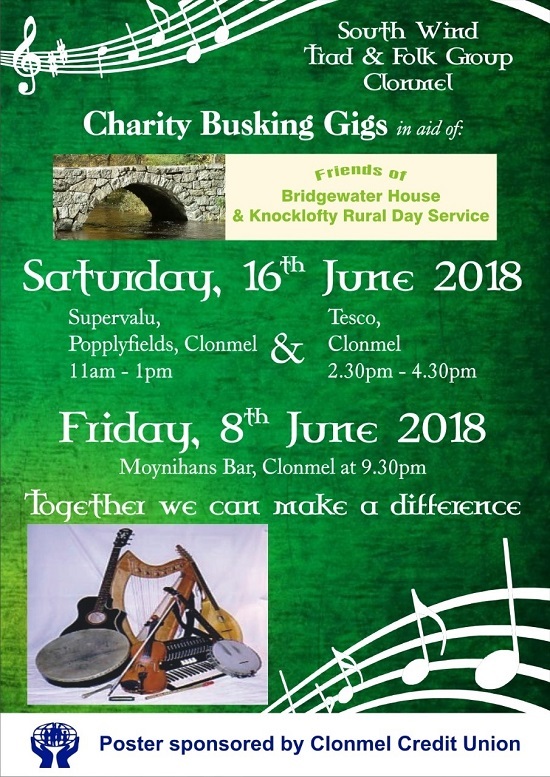 On the Saturday morning between 11am and 1 pm, they will perform at SuperValu in the Poppyfields and in the afternoon from 2.30pm until 4.30 pm, they will perform at Tesco’s. 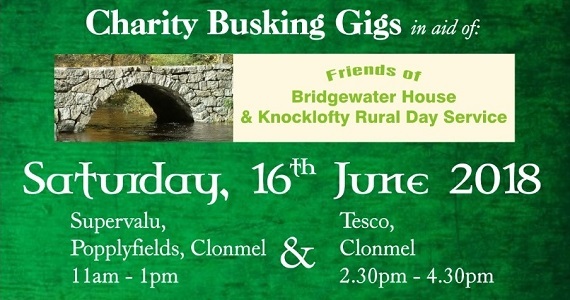 If you are in the area on the please support this charity. “South Wind Trad & Folk Group Clonmel” is comprised of Ann Dwyer, Edel Meaney, Treasa Nic Dhiarmada, Mary Morris, Oliver Harte, Tommy Hartigan, Liam O’Shea and Tony Brosnan.